The Boston Celtics have disappointed fans for the most part of the season, and have not looked like the team everyone expected them to be before the start of the season. However, they are the team to beat in the East, and can really come out of the LeBron-less Eastern Conference. There are teams like the Milwaukee Bucks, Indiana Pacers, Toronto Raptors and Philadelphia 76ers who are all playing basketball at an elite level, the Celtics could still have an edge in a seven-game playoff series. At the beginning of the season, they had issues trying to find the right combination but once they figured that out, they did go on nice runs and looked really good in patches. They were inconsistent and played very poor basketball at times, but they still have a stacked team that can really look spooky in the playoffs. Their record this season against the top teams speaks for itself. They finished 1-2 against the league-leading Milwaukee Bucks and drew their series against the Toronto Raptors 2-2. They are also up 2-0 against the Philadelphia 76ers, and have already clinched the regular-season series, and the Pacers' series is currently tied at one-apiece. 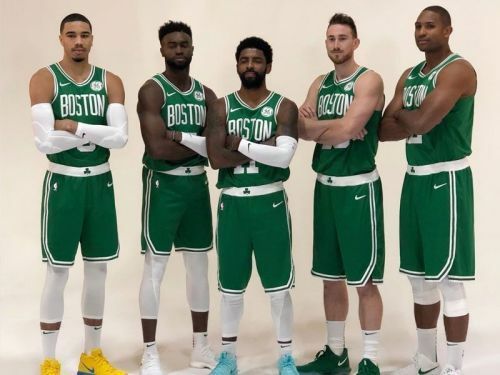 In this article, I give you the reasons for why I am of the strong opinion that the Celtics will reach the NBA Finals. The Celtics entered the season with high hopes, thanks to the much anticipated return of Gordon Hayward. However, he has under-performed for the most part of the season and was relegated to the bench. 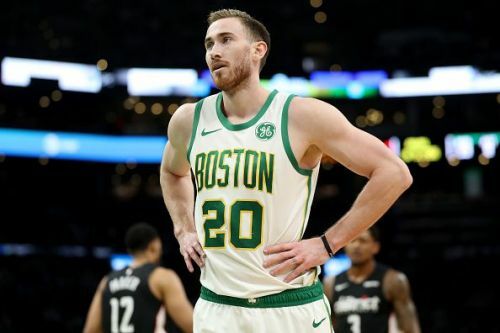 While Hayward did struggle and looked far away from his old self, he turned back the clock and showed some of his old flashes. While consistency has been a genuine problem for the 28-year-old, he still has the time, and in the game against the Warriors earlier this week, he scored 30 points and showed that he can perform way better. He looked comfortable dunking the ball, shot the ball well from mid-range and also deep. Hayward can become the X-factor in the playoffs and come up big for the Celtics. In his last playoffs appearance in 2017, the small forward averaged 24.1 points, 6.1 rebounds and 3.4 assists on an efficient 44.1 % shooting from the field, and led the Jazz to the Western Conference Semifinals. NBA 2018-19: Are the Boston Celtics the most disappointing team this season?